One of the things I love about great designers and creative minds is how they use sea creatures in the theme of their work – the delicate angles, look, colour, feel etc. I found this table on iCreative website and I wanted to share. It is one of Marc Fish’s art work. How magnificent it is that he could combine all the different types of wood and bend and shape to keep true to the Nautilus shell physical features. 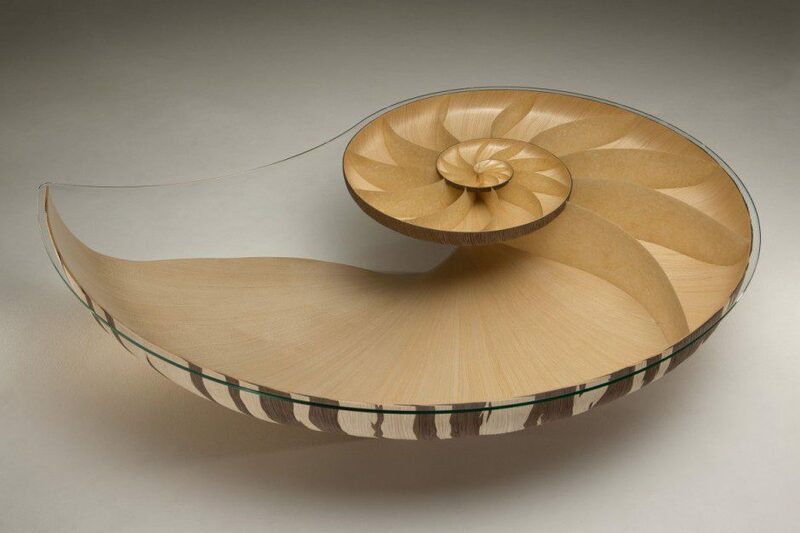 Low table Nautilus II is the second edition of the artistic table shaped nautilus shell drawn by designer Marc Fish. The result is a simple piece of furniture and a very stylish lounge. I would be too afraid to eat on it; may be I would just sit and look at its beauty. Marc Fish is a famous English designer who studied in Brighton, London, UK. Originally, the design of the Nautilus table was an experience, then the Nautilus room first was designed and built in 2010-2011. The second edition was created using computer-assisted technology combined with innovative construction techniques. The surface of Nautilus II resembles a shell perfectly and the bottom view of the table reveals an interesting contrast color resulting from the combination of different types of wood. It is manufactured with over 4000 individual parts walnut veneer sycamore in several layers in order to obtain the desired shape. The transparent glass plate has the same lines as the Nautilus. 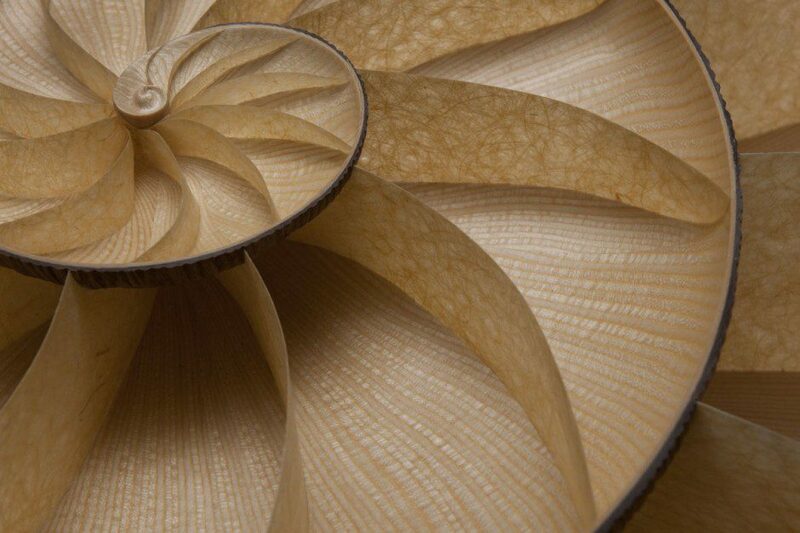 The result is a perfect logarithmic spiral of the nautilus shell.